Sliding to left two choice cuts of filet mignon on a hot grill with red coals and fire cooking. 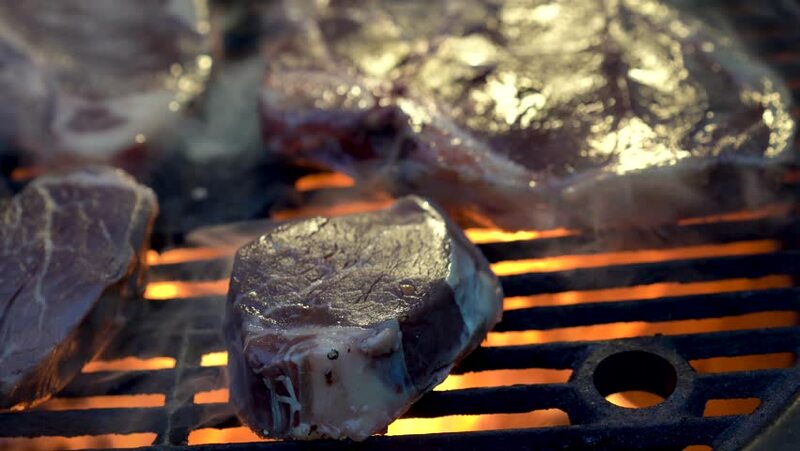 4k00:20Extreme closeup of filet mignon on a fiery hot grill. hd00:19Close up of burning wood in a fire pit in slow motion (50% speed).